Becoming a Business Member of Parking Network offers great value for the promotion of your company and its products & services. Being a member of Parking Network means visibility 24/7 with international reach. Through Parking Network, the world’s most visited online platform for the parking industry, we’re able to present your company and its solutions to your potential customers. We offer several membership packages with a combination of marketing tools to make your online campaign a success and generate more leads for your company. With over 19 years of experience, marketing with Parking Network is a proven success formula, both online and offline. 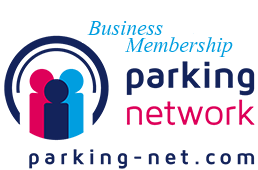 If you’re interested in becoming a Business Member of Parking Network, please contact Jorrit Weerman at Jorrit@parking-net.com for more information.